Going off-grid isn’t cheap and certainly not something to jump into without research. Even if you can’t leave the grid right now, there are ways you can save up for that future by cutting your living costs today – ways that most Americans wouldn’t even consider. According to statistics, the average American spends roughly $65 a month on cable. Americans over the age of two, on average, watch about five hours of television a day, according to data collected by Nielsen. Not only is cable expensive (and will continue to increase in price) but it is often a waste of time. Sure, there are educational programs on some channels and sometimes it’s nice to sit back and enjoy a show or movie, but there are probably better uses of your time and money. If you or someone in your family doesn’t want to give up television, you can switch to streaming services like Netflix or purchase a Roku box for you TV. With the latter you can still access many stations and TV programs, and some are available at no cost. Or even better, you can read a book. The average American cellphone plans costs only slightly less than cable – coming in at about $63 a month. And just like cable, the cost is expected to continue to climb. Some people rely heavily on their phones for checking email, making calls, video calling family, etc. If you are someone who can’t give up your phone for whatever reason, then you can look into a less expensive service. Nowadays there are more no-contract options and some cell phone companies boast rates of $50 a month or less. You also can downgrade your phone to one without Internet and email access, which will lower your cellphone bill even more. Being able to make phone calls and send a text message might be all you really need. This year, for the first time, Americans spent more money going out to eat than buying groceries for cooking at home, according to the U.S. Department of Commerce. Going out to eat is nice as a treat but is an incredible waste of money if you rely on restaurants for regular meals. Eating at home not only saves money but is better for you, so why not improve your bank account while staying healthy? Save even more money by starting a garden, planting some fruit trees for future harvest, raising some livestock, etc. Americans are pretty obsessed with “stuff.” It’s interesting how a country that can be so wasteful when it comes to food and produces so much trash also can have a packrat mentality. It’s pretty incredible just how much the average American keeps around. One very shocking statistic is despite the average American home being about three times bigger than it was 50 years ago, about one in 10 people still have to rent offsite storage, according to the Self Storage Association. You can find more interesting statistics on minimalism here. Taking on a more minimalistic mindset when it comes to material objects is going to save you money. From a homesteading point of view, this means not cluttering your property with objects you never use but also looking at objects you may have with repurposing in mind. Using flush toilets, taking 30-minute showers and soaking in giant, full bathtubs might be nice but they do waste a lot of water. Where water is a precious commodity, it would be crazy to use it to flush away human waste. Yet many Americans would find it odd to use something like an outhouse when a toilet is available. Regardless of where you live, you can probably adopt better ways of water conservation when it comes to hygiene and bodily functions. Composting toilets are a wonderful idea and very versatile – some are even made specifically for RVs. As for showering, you can go super basic by using heated water and dumping it on yourself (in a tub) or look into other options like solar showers. Also, whether you are bathing inside or outside, use the leftover water as grey water for your plants or garden. When the power goes out it can be surprising to learn how much you rely on the ease of flipping a switch to light up a room. Most people already have flashlights around but in preparation of going off-grid and to reduce electrical bills, you’re not going to want to just rely on them at night. 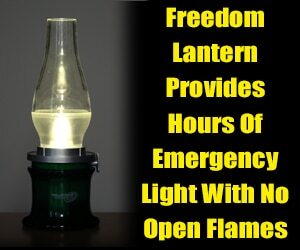 There are many ways of lighting your home while off-grid. You can use lanterns, candles, a solar light system or even solar-powered outdoor lights you bring inside at night. Going off-grid can be done in stages, and even just reducing household expenses without the goal of going without the grid is still very beneficial. Cooking in a modern kitchen uses quite a bit of energy. Making an off-grid kitchen is a great way to start learning more primitive cooking skills and reduce your bills. There are many ways to cook without power. It really depends on your home and what you find to be the best way for you. For example, a wood stove is a great method of making a meal in the cold months while also heating your home. In the warmer months, it is best to take your cooking outdoors to keep inside as cool as possible. Even if you are in an urban environment, you may still be able to have a wood stove set up outdoors or use another style of oven for cooking.